The best way to find something in YouTrack is to search for it using our search box. 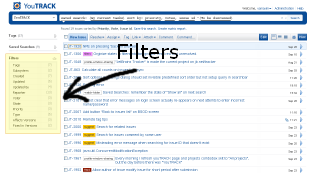 However, if you don’t feel comfortable with our search syntax, you can use filters to the left of the list of issues. Now, just click “Show” to display these matching issues.